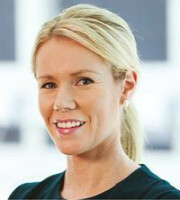 Belinda Breakspear specialises in IP law and heads up the IP and trademarks practice at leading independent Australian law firm McCullough Robertson. She advises clients in a wide range of industries on the development of new brands, IP protection and management, opposition and infringement disputes, general trademark matters and passing-off claims. Operating a full-service trademarks practice, Ms Breakspear has a wealth of knowledge based on her dealings with IP Australia and facilitating the filing and management of trademarks on a worldwide basis. The team understands international business cultures and how to translate its services to fit overseas business doing work in Australia. Ms Breakspear and her team offer a commercial approach to trademark advice, which is based on a broader knowledge of intellectual property, corporate law and international business. Ms Breakspear has acted in many significant international IP transactions, enforcement matters, and has conducted a number of detailed IP due diligences. She also acts in relation to domain name advice, protection and disputes, business name registration and advice, IP audits, as well as the transfer, licensing, commercialisation and acquisition of intellectual property including trademarks, patents and copyright. Ms Breakspear assists a broad range of clients from start-up businesses to major publicly listed companies, including a number of well-known brands. Clients include travel and accommodation businesses, mining and engineering companies, hotels, airports, agricultural companies, health providers, technology companies, large retail brands, fast-moving consumer goods companies, charities and many international referring firms. Ms Breakspear’s dual qualifications in law and international business provide a valuable understanding of the challenges facing business today, particularly in an electronic age, and she is known for her ability to tailor innovative yet practical solutions.